To further develop products for weed control, Gro-Bark® performed a study on mulch to determine its bioherbicidal properties. 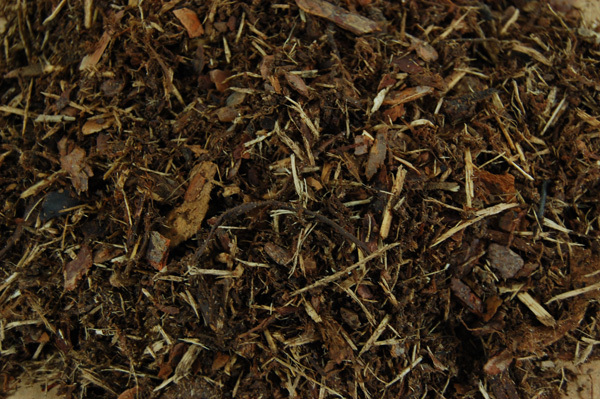 The study compared three types of mulch including cedar sawdust, pinchips and SPM® shredded pine mulch, as well as the addition of horticultural vinegar. The study showed that after 6 weeks weeds were suppressed in all cases where mulch was applied, however SPM® showed the greatest influence on weed suppression. This study showed that the addition of horticultural vinegar did not significantly increase or decrease the number of weeds as a non-contact herbicide. Weigela ‘Fine Wine’ plants were used for this study. To ensure consistency with the trial, at time of potting and a half inch layer of mulch was added, and weed seeds were dispersed on top of mulch. After 6 weeks of monitoring this study, areas that had no mulch or horticultural vinegar were estimated at having 84% weed coverage. The cedar sawdust product without horticultural vinegar showed 58% weed coverage; the pinchips resulted in 45% weed coverage and SPM® showed only 12% weed coverage. When horticultural vinegar was incorporated into each mulch product the weed coverage was 15% for the cedar sawdust; 34% for the pinchips and 16% for the SPM®. Although the cedar sawdust and the pinchips showed weed suppression, the SPM® proves to be great weed control without the use of horticultural vinegar! Gro-Bark® has committed to producing exceptional products for landscapers, designers, and homeowners. SPM® has been a staple in all kinds of landscapes for many years. SPM® is freshly ground pine bark, has a uniform texture and great aroma! The natural colour of SPM® is reddish brown and ages deeply. The acidic pH helps condition Ontario soils, which in turn helps to produce healthy plants.